The children have lots of free time and seemingly endless energy. No amount of late nights seems to encourage them to sleep in and we all know that too much TV or electronic use is not great no matter how quiet it keeps the little darlings. One of the best ways to stop them spending this new found energy and school term enforced time on doing serious emotional or bodily damage to their siblings or to your bank balance is to entertain them with a day trip! But in order to preserve said bank balance, and your sanity, these trips need to be cheap or better still free and interesting and engaging enough for your children that they’re not begging to be returned home to their electronic gadgets within 5 minutes of arriving or worse still resume their sibling rivalry but in public!! Free parking or easily accessed on bus route. Children 5 years -15 years £3.10. So it’s cheap but what is there to do there? It’s got amazing lakes and gardens perfect for strolling round looking for hidden treasure/mini beasts/siblings in the many nooks and crannies created by the landscaping. The lakes are teaming with almost tame fish (certainly tamer than some of the children I’ve taken there over the years) and fish food can be purchased for a small fee from the garden’s shop. There’s a super play area with enough equipment to keep even the energiser bunny occupied for a good hour or so. The museum is small and compact and really is designed for older children but does contain ‘a very smelly shark head’ which itself caused much amusement among the children, it was then the only thing they said, and they said it repeatedly for days, but at least it stopped the complaint of “she’s looking at me funny!” or “he’s breathing on me!” at least for a while anyway. If you’re going for the super mum award there are plenty of benches or pretty spots within the gardens to stop for your picnic…bliss! If, like me you abandoned the idea a family picnic to just get the heck out of the house the moment the sun started shining, there is a super little café serving light meals and drinks from 10am – 4pm, and of course the obligatory ice-creams! I know, I know! You’re thinking a museum how boring! But bear with me. Your children, well older ones, and you, may turn noses up at the thought of visiting a museum, but trust me this is not only educational it’s also interesting and fun, yes even for teenagers apparently! The museum takes you back in time, with the sights and smells of the shops, streets and transport of yester year. Lots of amazing vehicles to look at from trams and busses to cars and even a bone shaking coach ride to give the full flavour of life in Hull 200 years ago. Streetlife is not a massive museum so even your teenagers couldn’t really complain about boredom and it’s not too far for little legs to walk around, especially if you take advantage of the picnic area for a pit stop break, or two, with them. Warning this area does get very full at lunch times so maybe try to plan a couple of stops mid-morning and mid-afternoon rather than the conventional 12 -1 slot. There isn’t a souvenir shop so you won’t be nagged endlessly for expensive junk that when you finally give in and buy you’re only going to be tripping up over in a few days and if you really do get fed up in the museum there are several more FREE ones within a few steps of each other. 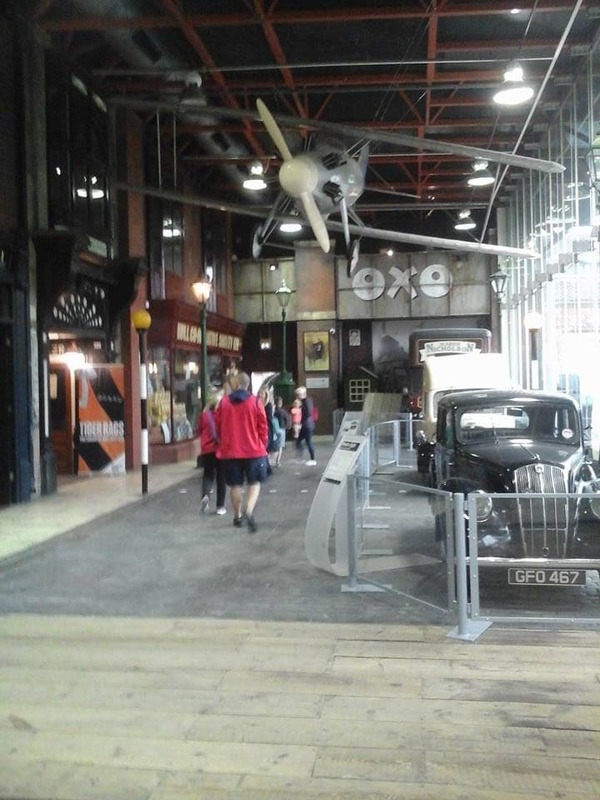 Inside the Streetlife Museum and outside for a picnic lunch. Accessible via car (free parking) or Beverley busses. Being just a huge open space a day here is rather dependant on the weather or your willingness to get yourself and your children soaking wet and filthy dirty, all good fun in some people’s books I know. The Westwood has all kinds of outdoorsy natural activities to encourage your children to spend their built up energy but will involve either some forward planning on your part or some on the spot imagination raiding. From rope swings over small streams and fallen logs to climb and walk along to a more potentially messy game of dodge the cow pat, there is an endless opportunity to explore the area. There’s loads of space for picnics and some benches if you really don’t want to sit on the wet grass. There are trees to climb, secluded trails to wander down, perfect for the budding photographer and wide open spaces for kite flying races or errant dog/child chasing (do watch out for overhead wires though if flying kites and the cow pats if chasing dogs/children please). There is generally an ice cream van in the carpark, and as my old gran would say a toilet behind every tree! What more could you need? Fallen log climbing and rope swings at Beverley Westwood. If none of the above are attractive to you, don’t give up hope there is another option that may appeal. In Clifton Moor right next door to Roko Gym, accessible by car or main bus routes Hull/York. I know it’s not free BUT for the not exactly a princely sum you don’t need to entertain your child at all! Let the professionals do it while you do something u find more fun and ‘adulty’, go to the gym? Read a book? Clean the house? Service the car? Children attending the holiday club for a full day not only get entertained and educated, shhh don’t tell the children that, but also get provided with breakfast, mid- morning snack and a light tea, so all you need to provide is a packed lunch. 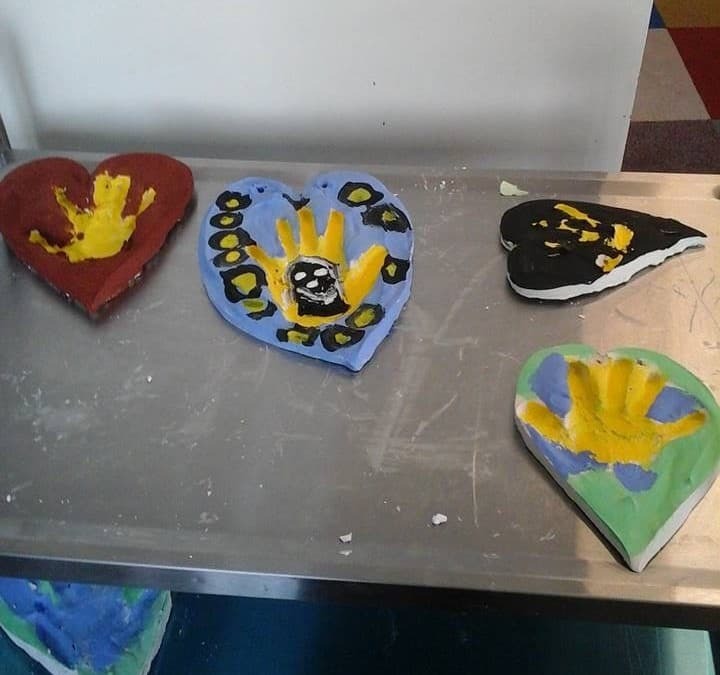 The holiday Club have lots of activities aimed purely at school aged children, they take them on photography shoot walks around the local area, play outside games, do puzzles, read stories, help the children with baking, encourage drama activities and even take them on trips, like the ones mentioned above, so you don’t have to! 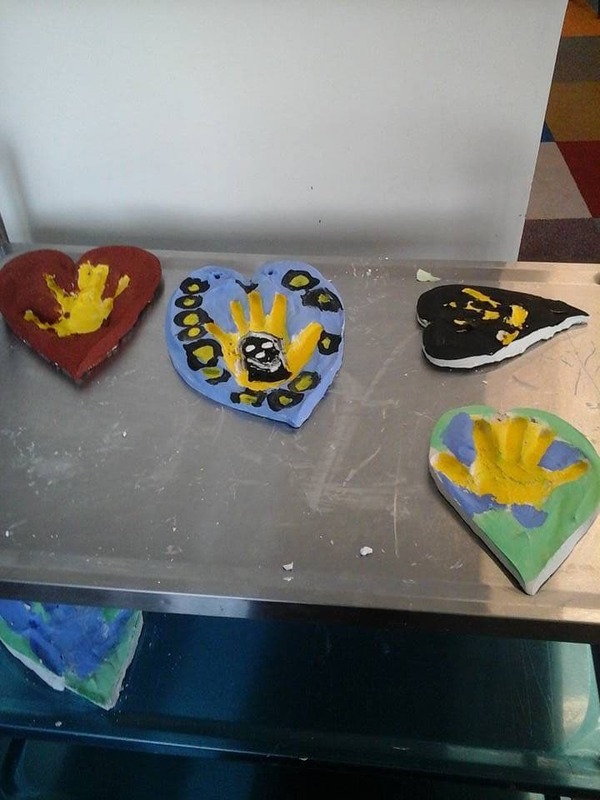 Plaster of Paris play and camping activities Blue Sky Holiday Club.